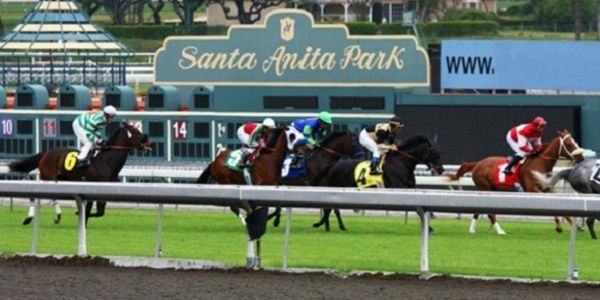 Care2 urgent update: On March 31, just two days after the Santa Anita Race Track reopened its main track for racing, another horse has tragically died. When will enough be enough? Please sign and share to tell Los Angeles and Arcadia to CLOSE this cruel racetrack for good. In just over two months — from December 26, 2018 to March 2, 2019 — 20 race horses died at the famous Santa Anita Park in Arcadia, Calif. One died from a heart attack, but the other 19 were euthanized after suffering catastrophic leg injuries on the track. It's completely heinous that local governments continue to allow this track to exist. Sign the petition if you want to see the city of Arcadia and LA County shut them down for good! After 19 horses died, officials closed the track for only two days to "fully evaluate sub-surface conditions such as moisture content and soil consistency," it stated. It has been a very wet winter in California, with over 11 inches of rain falling in Arcadia, so that may be contributing to the deaths. Another possible factor is that, according to a 2012 New York Times investigation, California researchers found that 90 percent of horses that break down on the track had pre-existing injuries. The horses are given painkillers so they can continue to run. While the Santa Anita track was closed, employees peeled back its cushion and Mick Peterson, director of the University of Kentucky's Agricultural Equine Programs, evaluated the surface and sub-surface using ground-penetrating radar. He declared the track surface to be "100 percent consistent and ready for training and racing." Two days after the track re-opened, another horse suffered a catastrophic leg injury while racing on the track and was euthanized, bringing the death toll to 20. "At the Stronach Group, we consider the safety and security of the athletes, both equine and human, who race at our facilities, to be our top priority," said Tim Ritvo, chief operating officer of the Stronach Group, which owns Santa Anita and other horseracing tracks. To truly ensure the safety and security of these race horses, please sign and share this petition asking the city of Arcadia and LA County to shut them down for animal abuse. On March 31, just one day after Santa Anita Park reopened its main track for racing, another horse has tragically died, bringing the total to 23 since December 26. The track owners claim their top concern is the safety of the horses. If that's true, this death trap needs to be closed for good. On March 14, just three days after Santa Anita Park reopened its track for limited training, a horse broke both her front legs and was euthanized. The death toll since December 26 is now 22 horses. This deathtrap needs to be permanently shut down! After the death of the 21st horse, Santa Anita Park announced it was closing the track "indefinitely" while it's being inspected. The track should be closed permanently! Another horse died on March 5, bringing the death toll to 21 horses at Santa Anita Park since December 26. How many more horses must die before this deadly track is shut down?